Just like the natural geological formation of the Witwatersrand Basin, the Witwatersrand Wallet captures the romance of perfect imperfections by showcasing the distinctive character of each individual skin through our unique leather dyeing process. 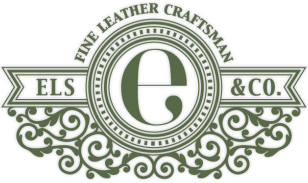 All our products are crafted from the best quality vegetable tanned leather we can source. To achieve that genuine old school finish we hand dye the leather then oil it with our own mixture of beeswax and animal fat. The result is a product that looks as if it was made 100 years ago. The Witwatersrand can fit all your wallet essentials, including your coins, and fold up nicely to fit easily and seamlessly into your back pocket. The Witwatersrand can take up to 4 cards and securley hold your notes.